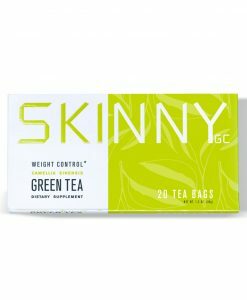 Finally a tea that will assist you in losing weight by supressing your appetite, regulating your blood sugar levels and increasing your energy. Yay to less cravings! 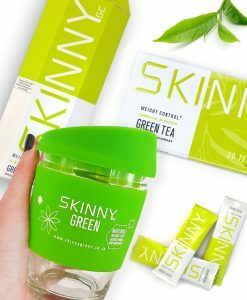 SKINNY GREEN TEA is a natural weight loss product consisting of only three powerful ingredients : Green Tea leaves (Camellia sinesis), Zychrome, Cardiaslim. 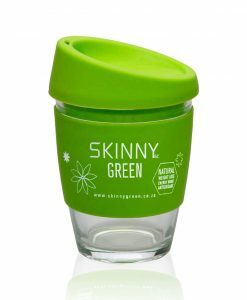 We recommend that our SKINNY GREEN TEA is enjoyed in its original pure form with no added sugar or milk, 1-4 times a day. Each tea bag can be used twice. 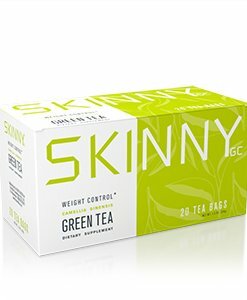 Skinny Tea is available in a 20 tea bag carton. 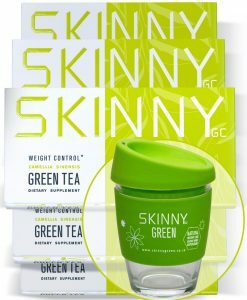 SKINNY GREEN TEA is only effective as part of a kilojoule controlled diet combined with regular exercise. All you have to do is drink our tea while making healthier lifestyle choices and you will never look back. Please do not drink SKINNY GREEN TEA if you are pregnant or breastfeeding. If you are on medication please check with your physician before drinking our SKINNY GREEN TEA. 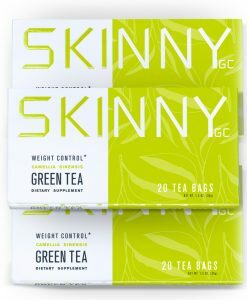 SKINNY Green Tea is available in a 20 tea bag carton! 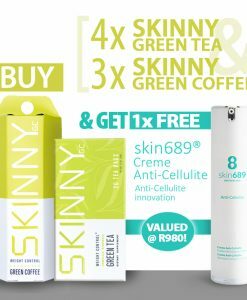 BUY your SKINNY Online today! 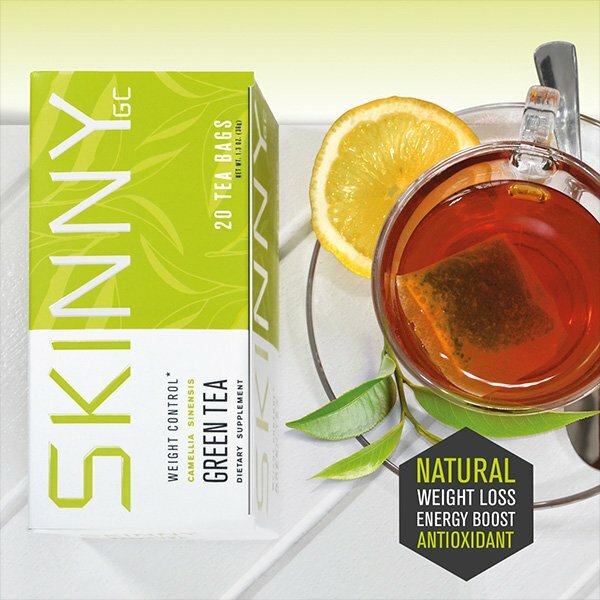 SKINNY GREEN TEA is made from Green Tea, also known as Camellia sinesis, that has been used for centuries for a number of ailments. Green Tea is made up of properties that have been known to increase caloric expenditure as well as the metabolism of fats. Research also shows that Green Tea can be linked to appetite suppression. The second ingredient in our tea is ZychromeTM, a specific chromium complex that is more effective than other forms of chromium. Research shows ZychromeTM helps support healthy insulin levels and function thereby assisting with the regulation of blood sugar levels in the body. Our third ingredient is CardiaslimTM. Clinical studies show that this ingredient promotes weight loss and reduces waist and hip measurements and also increases the metabolism of fat. CardiaslimTM contains the blend of 2 plants’ extracts that have been proven to be safe and effective in weight loss. Studies have also shown that CardiaslimTM helps healthy blood lipid levels (cholesterol). Great news is that CardiaslimTM is naturally derived, sustainable sourced, and vegetarian – it is sourced from flowers and fruits of Sphearanthus indicus and Garcinia mangostana.